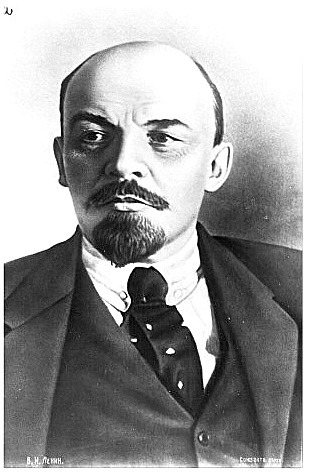 The 9th of November consists a milestone for those who have turned anticommunist propaganda into profession. 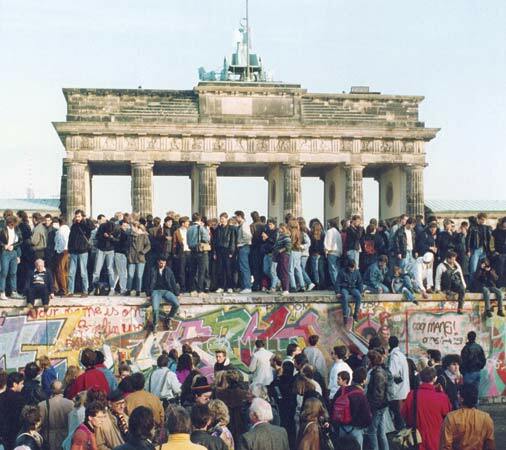 It is the day when, in 1989, the destruction of the so-called “Berlin Wall” began. Since then, every year, we observe smaller or larger fiestas about the "fall of the Wall" and the restoration of Capitalism in the German Democratic Republic (GDR). In these fiestas, the winners of the Cold War employ their anticommunist imagination in order to celebrate the “big event”- for example, in 2014, during the 25th anniversary, among the official guests in Berlin was the miserable puppet of international imperialism called Mikhail Gorbachev. For more than 26 years, within the framework of slanders against the actual existed Socialism, the bourgeois historiography, the bourgeois media as well as various opportunists engage in a war of distortions regarding the history of the Berlin Wall. 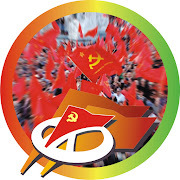 They deliberately vilify the German Democratic Republic and the achievements of the socialist construction while they attempt to manipulate the European and international public opinion with the known, anti-scientific and anti-historical equation between Communism and Fascism. 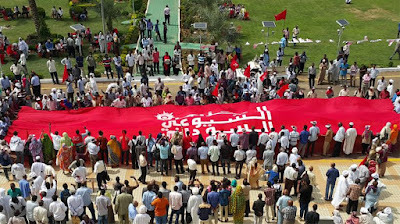 However, the reality is quite different from the version that international imperialism tries to serve to the people. They claim that the Berlin Wall was erected in order to stop the- supposedly- increasing fleeing of East Germans to the capitalist Federal Republic of Germany. This is a classic false argument of the bourgeois propaganda. The creation of the Wall was actually imposed by the imperialist interventionism and the continuous attempts- by West Germany and their imperialist allies- to undermine and sabotage the socialist construction in the GDR. If we want to answer the question “why the Berlin Wall was built”, we must go far before 1961 (the year of the wall's construction), during the period which following the end of WWII. The post-war future of Germany was determined by the decisions of the so-called Potsdam Conference (July-August 1945) between the Soviet Union, the United States and Great Britain. The conference's purpose was to create the conditions for a single, demilitarized, denazified, democratically organised German state. Until the implementation of the agreement, the country was under the adminstration of the armed forces of the three countries in two major parts- the western part under the adminstration of the alliance between U.S- Britain-France and the eastern one under the Soviet administration. a) In the sector in which the western allies had the administration (West Germany), a number of the measures agreed in Potsdam were not implemented (e.g. complete dissolution of the Nazi forces, total demolition of the Third Reich's remains in the state, arrest and imprisonment of all Nazi criminals, prevention of any Nazi-affiliated activity). 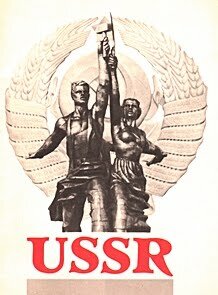 It is clear that a part of Hitler's state apparatus was useful for the imperialists in their attempt to provoke the Soviet Union and the socialist camp. b) The division of Berlin into “western” and “eastern” was a result of the disruptive political initiatives taken by the Social Democrats and Christian Democrats of West Germany. These political powers- having the support of the “allies”- created a separate state in 1948, introduced a new currency and abandonded the Berlin town hall, thus choosing to settle their “Municipality of West Berlin” in Schöneberg district. In fact, the forces of imperialism created their own state (West Berlin) in the heart of the- controlled by the USSR- East Germany (Geographically, Berlin belonged entirely to the eastern part of the country). c) After the foundation of the capitalist Federal Republic of Germany (1949) there was an intensive and methodical effort to undermine the eastern part. 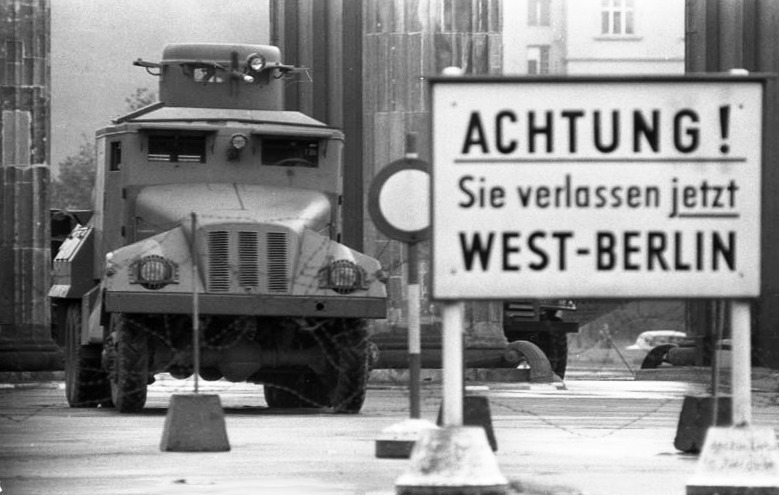 West Berlin was for years the advanced outpost of the imperialist aggression against the Soviet Union. This agression was expressed in many ways, including psychological warfare against the East Germans, as well as multiple sabotages against East Berlin's public infrastructure. 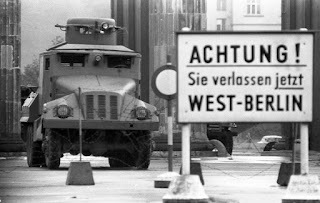 During the same period, when the socialist construction in the German Democratic Republic was underway, the NATO forces, having the West German state as their base, were investing in provocations and threats against GDR. We must remind that West Germany became a NATO member in the middle of 1950s, the United States began the installation of modern weapons systems while the government of West Berlin was armed to the teeth demonstrating its military force (notice: all these were taking place against the 1945 agreements). 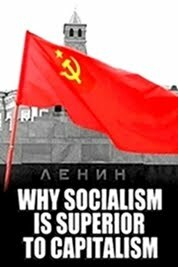 It seems that the above consist negligible “details” for the “champions” of the anti-communist propaganda. On the eve of the 13th August 1961, following a decision by the Parliament of the German Democratic Republic the borders closed. This act was in fact a measure of defense against the offensive policy of West Germany and an effort to ensure the security of the socialist GDR. The “Wall of shame” or, perhaps, the shame of the imperialists? The construction of the Berlin Wall came as a result of the escalating imperialist aggression. 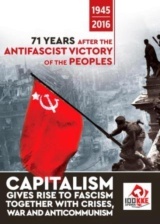 The major target of this aggression was Socialism; the socialist construction in the Soviet Union and in Eastern Europe, including of course the German Democratic Republic. It is characteristic that the imperialist propaganda gave West Berlin the name “showcase of the free world”, as opposed to the supposedly “oppresive and repressive regime” of the German Democratic Republic. The “showcase of the free world”- West Berlin- was the source of multiple organised illegal activities against the German Democratic Republic; from ideological war to sabotages, the counter-revolution never stopped to undermine the socialist construction in East Germany. The bourgeois historiography also hides what followed the Berlin Wall's destruction in 1989. Behind the hypocritical celebrations of the imperialists about the supposed “victory of Democracy, victory of the free world, etc”, the fall of the Berlin Wall was the beginning of an unprecedented “loot” of GDR's public property: numerous privatizations, armies of millions of unemployed Germans, privatization of public hospitals, extended corruption between west German political parties and German multinational corporations etc. Today, 27 years since the demolition of the “Wall of shame”, is quite clear who actually benefited from the victory of the counter-revolution in East Germany. Those who were benefited were certainly the monopoly groups and the capitalists and definitely not the working class of the country. The bourgeois “fanfare” about the “reunification of Germany” cannot hide the barbarity of capitalist exploitation. In 2010, approximately 7.3 million working Germans (1/5 of the working population) had a monthly wage of 400 euros. It is characteristic that between 2004 and 2011, the actual average salary has been decreased by 2.9%, while 14% of the German pensioners live on the poverty line. On the same time, since the mid-1990s, the income of the 5,000 richest German households has increased by 50%! Today, 27 years later, the barbarity of Capitalism builds new walls in every corner of Europe. In Munich, a new wall- higher than the Berlin Wall- is being erected, in order to... protect locals from refugees! In Hungary, the far-right, anti-immigration government of Viktor Orban builds a second wall across the borders with Serbia and Croatia. In the United Kingdom, a new four-metre high wall will be built in Calais, in order to prevent refugees from entering the country and in the United States, the President-elect Donald Trump is known for his desire to build a “huge wall” on the US-Mexican borders. 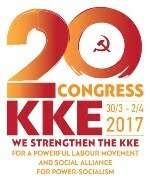 Today, 27 years since the demolition of the Berlin Wall, the actual threat for humanity is the wall of capitalist exploitation and imperialist barbarity. 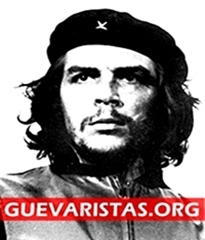 It is in the hands of the people, of the working masses in every corner of the world to demolish the capitalist wall of exploitation and to engrave their own way towards a better future, towards Socialism-Communism. History did not end in 1989. 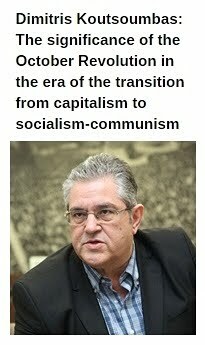 * Nikos Mottas is the Editor-in-Chief of 'In Defense of Communism', a PhD candidate in Political Science, International Relations and Political History.